Why use our SSD Controller in your industrial solutions? With the rise of industrial grade storage systems, SSD controller solutions have never been more integral in NAND flash system designs. NAND flash memory storage applications require a controller to communicate and manage data transactions between the host interface and NAND flash arrays and the selection of this controller is vital in ensuring that data is handled and managed reliably. Due to the durable nature of their design, SSDs are mechanically robust and scalable for many applications, which significantly reduces field failure rates compared to HDDs. Originally adopting the 2.5” and 1.8” formats from their predecessor, today’s SSDs have taken the industrial market by storm and SSD controller solutions continue to grow in value due to their endurance, reliability and robust nature. 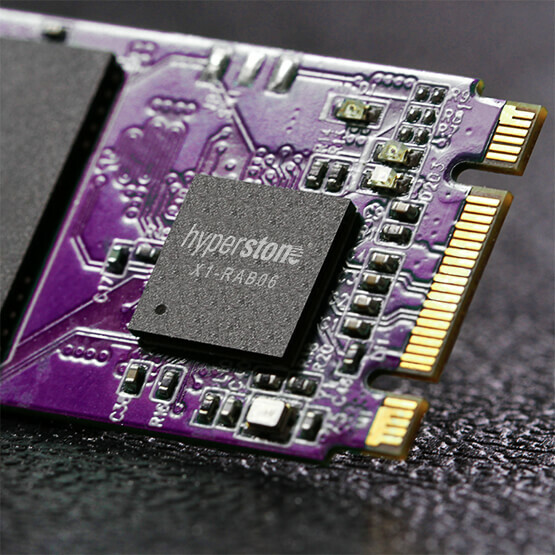 Hyperstone supports many different NAND flash memory storage applications within the common understanding of SSDs. Focusing on embedded technologies, reliability and endurance, as well as our superior wear leveling and advanced ECC methodologies guarantee our SSD controller solutions are successfully embedded in a range of global applications.